Replacing wood balusters (aka spindles) with wrought iron balusters is one of the most common methods of upgrading an outdated balustrade. This is not to say that wrought iron is superior to wood in general but sometimes wood balusters may have been damaged, broken, or they are simply outdated. 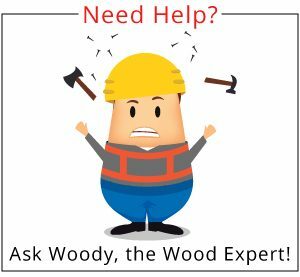 You may be able to modify the look of your wood staircase by simply refinishing the wood, or you can remove wood spindles and install wrought iron spindles. There are three basic methods to replacing wood balusters with wrought iron balusters, I’ve named these the Up-and-Down Method, the Secure Method and IronPro. There is a fourth option in which you can replace the entire balustrade with the balusters, but this would still involve one of the three methods listed above. These three methods are the same when installing a new balustrade from scratch. Today, I don’t intend to go through the specifics of each method but rather to consider the reasons for and the possible results you can achieve by upgrading shabby wood balusters with wrought iron. 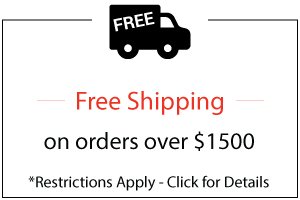 Shop for Wrought Iron Balusters – Best Prices Online! For our purposes, let’s look at the two primary reasons you may want to upgrade your existing all wood banister to wrought iron. The first is structural. While wood railing systems are typically as strong as wrought iron and wood combinations, an older balustrade may have weakened through use and abuse over time. In this case, if you want to upgrade this may be a perfect time. If you have a weak banister you may have to re-secure, reinforce or even replace a few damaged balusters. Depending on how bad your system has weakened over the years this could take a fair amount of work in itself. Also, you may find it difficult to exactly replace balusters that may have been discontinued. Woodstairs.com offers custom turnings and can match any profile in any wood species, but the cost is slightly higher due to the custom nature of this process. So, if you are going to be working on the system anyway, you may decide to replace all of the wood spindles with wrought iron balusters instead. If your other components, such as handrail and newel posts, are in good shape then you can usually save these and replace only the balusters. The costs associated with replacing wood balusters are dramatically less than replacing the entire system. This brings me to the second and far more prominent reason that people elect to upgrade to wrought iron balusters, appearance. Wood and wrought iron balustrade combinations are relatively new to the residential building scene. This combination originated in its popular form about 25-30 years ago and not only has it survived the test of time but has expanded dramatically to include virtually unlimited patterns. This is the greatest advantage that wrought iron balusters have over wood. In a wood system, a single profile of baluster is usually repeated over and over. Wrought iron balusters, on the other hand, are combined to create varying and unique patterns. For example, more simple patterns of alternating Single and Double Wrought Iron Baskets or Knuckles are often combined with an Iron Scroll Baluster that creates an ornamental focal point. Another way to save money on your stair renovation is to find discounted balusters in an iron balusters sale. 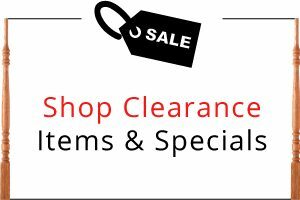 WoodStairs.com offers discounted wood and iron stair parts that are overstocked in our Clearance & Specials category. If you don’t find what you are looking for be sure to check back often as this category is constantly changing and being updated with new items. IronPro is just one of the ways you can make this transformation. 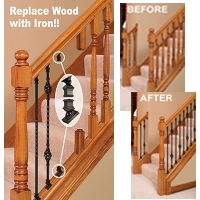 Finally, you can always mix these renovations, for example replacing your wood balusters with iron and re-staining. Or, while you have your balusters out, you may consider upgrading carpeted stairs with hardwood Stair Treads. This option may not be for everyone but if it is something you are interested in the removal of the wood balusters is a great time to add them and save a little on the installation. If you have any questions give us a call at 888-390-7245.